The struggle to lose weight is a constant one, and right at the forefront are diets that aim to help you lose weight quickly and safely. 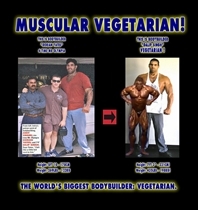 Among the most effective are the Atkins Diet and Weight Watchers, and each has their share of adherents and detractors. Which one operating system the right one for you? This comparison article should help you decide. The main characteristic of the Atkins Diet is that it focuses more on controlling carbohydrate consumption than calorie intake. This makes it a lot easier to figure out what you need to do to stay in the diet, since carbohydrate information is generally provided with most products. This means you don’t have to bother with tedious and confusing conversion routines. 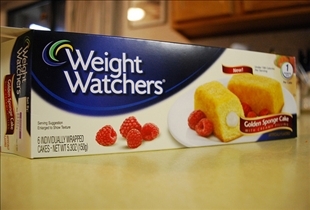 Weight Watchers on the other hand assigns a "point" value to every food item. The proponents of the diet actually publish lists of the point values for many foods, and even of dishes in popular restaurants. People who go on the Atkins Diet are first restricted to 20 grams of carbohydrates per day. This is the equivalent of ¼ cup of flour, or a single slice of bread. The amount can later be increased to 40 to 60 grams per day, depending on the person’s ability to lose weight. People who go on the Atkins Diet are also usually required to take multivitamins in order to replace the ones lost by eliminating certain vegetables (many of which are high carbohydrate foods) every day. The Weight Watchers diet involves figuring our how much food in terms of point value you can consume during the course of a single day. This figure may vary considerably depending on the current weight of the individual. Weight Watchers also offers a reward system of sorts, in which people who exercise more will be allowed to increase their points consumption without overcompensating. Unlike other diets that restrict your carbohydrate intake, the Weight Watchers diet allows you to eat whatever you like as long as you stay within your point range. You could even use up a lot of your allotted points for the week in a single meal, and simply make up for it by reducing your point intake for the following days. As for the Atkins Diet, it also allows you to eat whatever you want, but with the exception of carbohydrates. The privilege of being allowed to eat steak, butter, eggs, and cheese is a prospect that appeals to many, although this has given rise to criticisms that the Atkins Diet isn't really effective. What the diet has going for it however, is the elimination of many of the most fattening foods such as cookies, candy bars, ice cream, and such. Which diet is easier to stick to?